Does Being Average Make you Happier? We are finishing up supper when a knock comes to the door. It is a family friend and acquaintance that we recently hired to construct a bookshelf for us just arriving for a quick check-in about a piece he’s already built. He wonders if it fits okay over the radiator. It does. In fact, it’s a perfect fit. Earlier this month, this gentleman arrived in the middle of supper hour and spent the better part of the evening talking to both Husband and I about our dreams for our family room. What were we wanting him to fashion as an entertainment unit to house our most beloved pictures, books and games? At what level would we want our entertainment system to be set? What style should the framework be? What vision did we have? As we talked, it became increasingly clear that this man cared a great deal about his work- and even more so, cared about our ideas, our thoughts and opinions. To illustrate my point, he had talked to Husband about some additional thoughts he had for this unit on the Sunday past- proving to me that if we were paying him for his time, we’d owe him for the incredible amount of thought he’s invested in considering our best options. You don’t get this kind of service from the box stores. To have him drive from town this evening for a five-minute drop-in just to check whether the piece he was building fit neatly in place, meant a lot. In fact, it’s priceless in MasterCard terms. Some might say that everyday people such as our retired friend who make furniture for pleasure- such as you or I, us plain-folk people: some might say we are not the ones that make this world turn. Not the ones who are the real movers and shakers. I read a quote about mediocrity lately and it said that being average should be feared- should push us to our limits, causing us to reach our true potential. Whatever that means. To be honest, some of the most average people in my life have made the biggest impact. We don’t remember the chance encounters we have with celebrities (if we have them at all) nor do we chalk up as the most life-changing, the brief glimpses into the world of the extraordinary as the part of life that we could not live without. It is the average, everyday people and pleasures of life that we count as life’s greatest blessings. After my last two posts on being average, I decided to share an article I found on-line and read called “The joy of being average” found at “http://www.getrichslowly.org/blog/2014/03/13/the-joy-of-being-average/ In the article, the author Sam expounds on the joys of being average, highlighting such benefits to life as lowered expectations, more safety, more happiness, less restrictions, more freedom, less pressure, among other benefits. In the article, he poses the question: should we continuously try to live up to our potential? Sam concludes that ‘no’, we should not feel that pressure- it is ours to choose how we live our lives, how we use or don’t use our potential. I contend: there is joy in acceptance as well. I feel that in accepting that our lives are short, fragile and fleeting helps us to put perspective on things. Who are we really trying to impress? What really matters? What are the most important things in life? What decisions are the most crucial? Celebrity, both at local, regional, national and international levels, as enticing as it might look and seem, is just a mirage. The people behind the celebrity still have to get up in the morning and face themselves in the mirror. They still live and die. And so do we. The question should not be based on how to live up to one’s truest potential but rather focused on perspective: how can I live my life with joy and contentment? Gratitude and grace? And what non-essentials can I eliminate so that I don’t miss the boat and waste this one chance I have at truly living life well? Being average isn’t a wasted opportunity, a shameful decision. Living simply is not to squander one’s life; but chasing after dreams that are only a mirage certainly are. Life is beautiful- even when it is average, ordinary and simple, and living an average life is more than admirable when we can do so with joy and contentment. When we choose to embrace the life we’ve been given, average isn’t ordinary. I walk the length of our house looking for something with color to photograph, something to contrast with the vast expanse of white stretching as far as the eye can see. 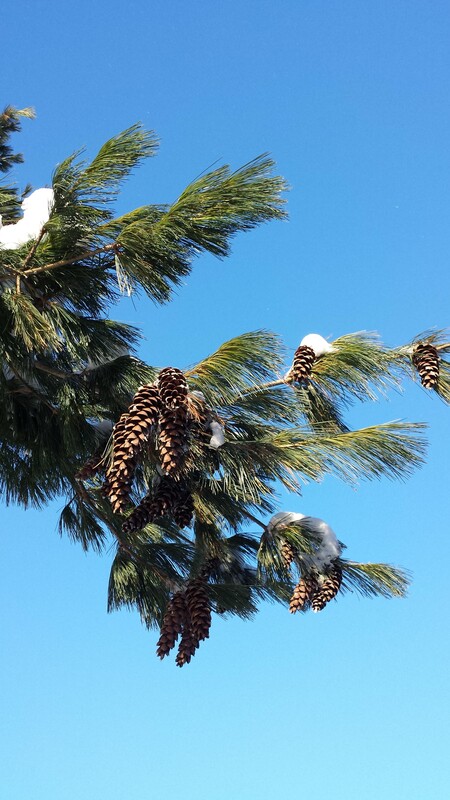 We’ve been hit with our third storm of the week- outside, winds swirl tossing snow in endless piles around our lawn. 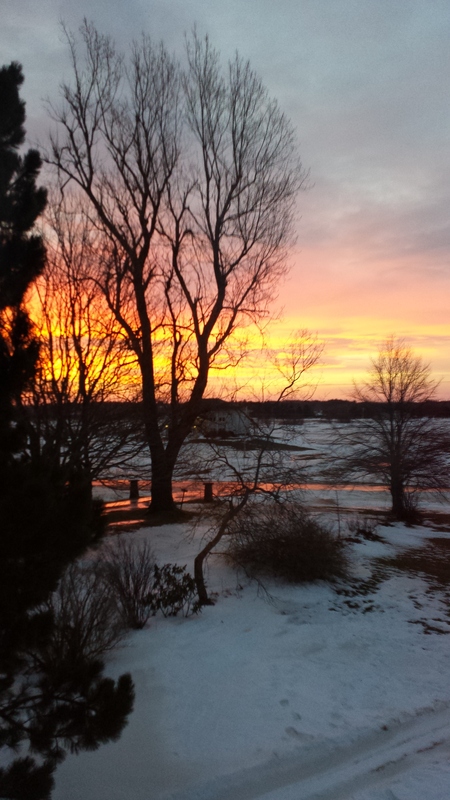 These February days are what define the heart of winter in Prince Edward Island. I cross the veranda, where on better days I might cradle a mug of coffee in one hand and a good book in the other. 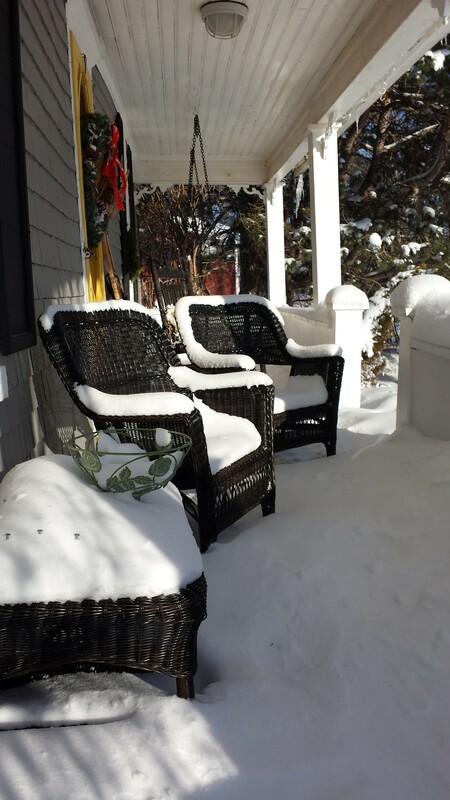 Today, the wicker chairs are laden with frost and hardened snow-ice, my hands encased in thick, black gloves. 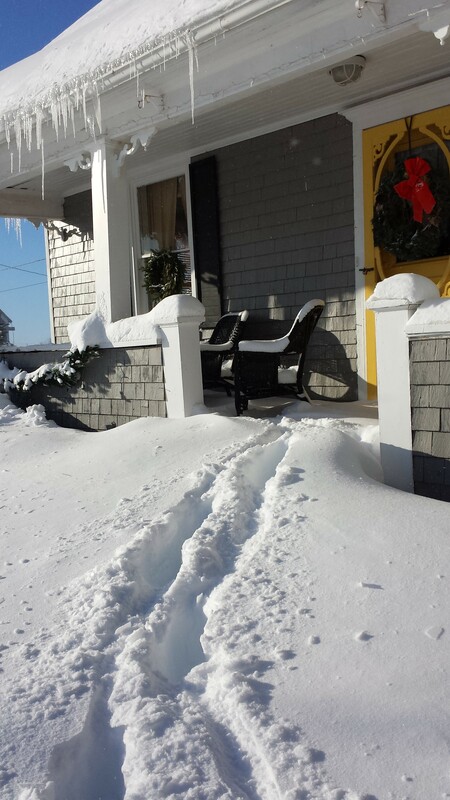 I trudge down the steps and find myself immediately sinking in foot-and-a-half high snow drifts. 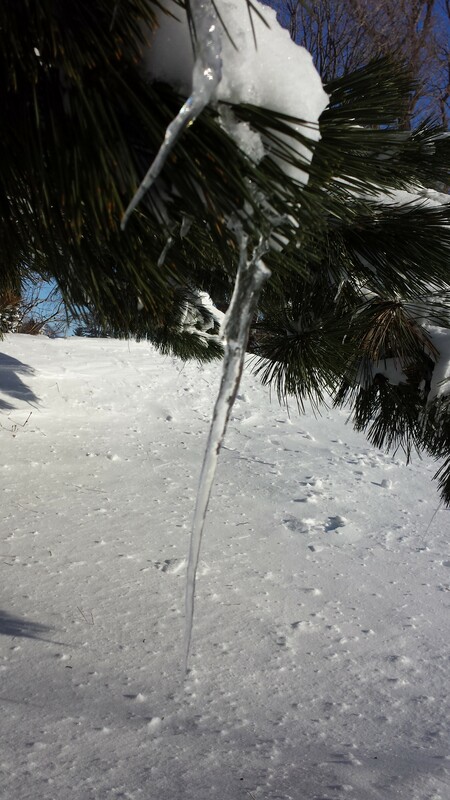 Out of the corner of my eye, I catch a glimpse of an isolated icicle hanging from a low-lying branch on the old pine on our side lawn. I make my way toward it, wishing to capture it’s essence through the lens. 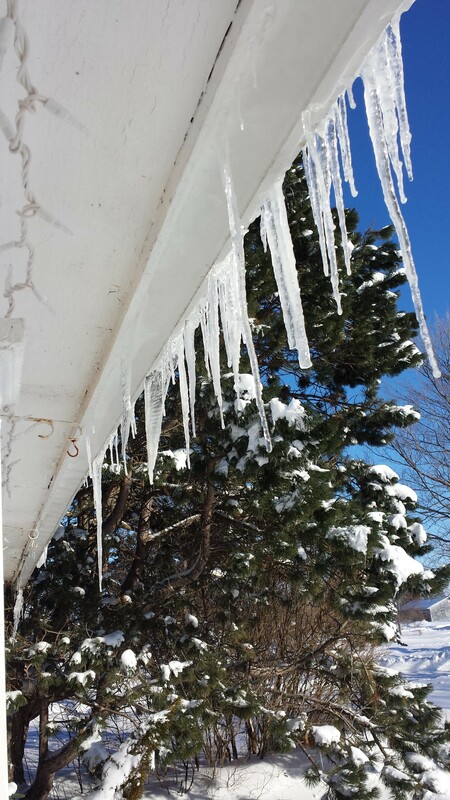 I snap a picture even as the icicle itself threatens to snap, bent in the middle and dripping water in a slow and steady rhythm. It is small and minute against the picturesque landscape I can see surrounding it- only entering my line of vision because I went deliberately looking for something charming to photograph. 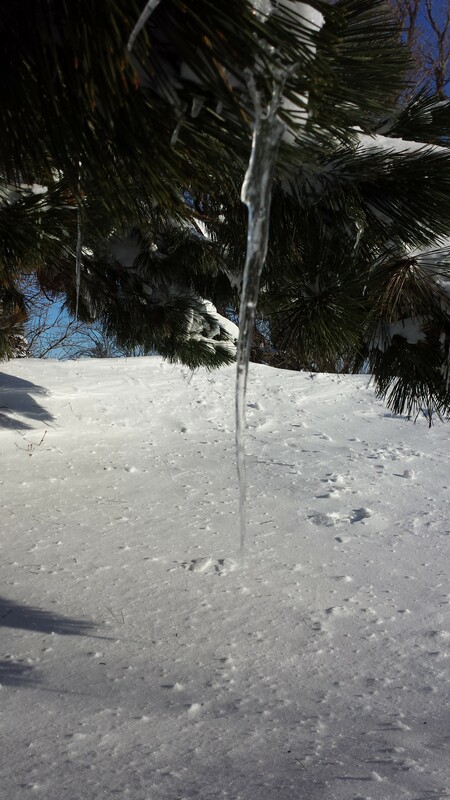 And yet, this dripping, bent-over icicle has captured my attention in spite of its imperfection. 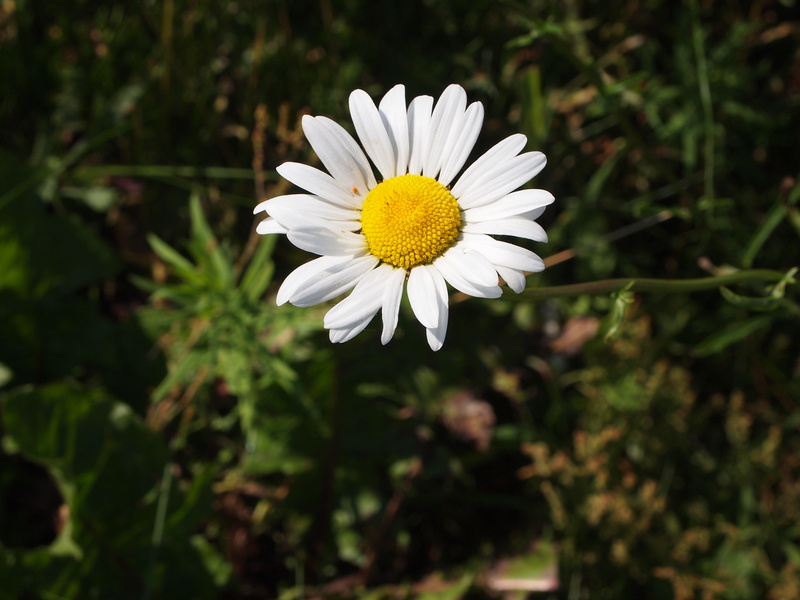 Small and flawed, it is still enchanting. Certainly small is significant. I live in a beautiful, yet very small ‘island-province’ in Canada, residing in the western end of the same. My community is small enough that most everyone knows your name. I teach at a small rural school five minutes from my home and my own kindergarten class is the smallest class in the school. Incidentally, I also teach the smallest students in the school- the four and five year-olds. But sometimes I struggle with the smallness of my life, feeling my insignificance in comparison to the world around me. My lack of reach, the difficulty I have experienced in expanding my professional identity, the obstacles in my path- all point to the smallness of me as one individual. And I struggle with the fact that being small means at times: small circles of influence, small impacts and seemingly insignificant means of effect. I write a blog for which sometimes there is a very small audience, for some pieces I write there are even little to no readers. And I feel my voice is sometimes small and muted – even when speaking to my own children who tend to have selective hearing (!). In terms of outreach, my scope is sometimes not more than an arm’s length. I talk to my mom on the phone and she shares stories with me about my Dad. We both see that because of the reality in which he finds himself, the extent of his effect and the scope of his influence has been made very limited. He was once a pastor of a large urban church where hundreds were in attendance. A ministry for him that was demanding, substantial in impact and important. And now his ability to live life has been debilitated. I am sure there are times when he wonders and questions the scope of his reach as he sits in a restoration facility waiting to be discharged and given his release. I am sure he questions why, although I never hear him voice the words. I would, if it were me. In spite of these limitations, he continues to be an inspiration to those around him- using the smallness of his life to enrich others in very large ways. I can’t even count the times in which he has used his words, both written and verbal, to encourage, help and care for those around him. This is not wasted time that he spends dealing with the effects of his disease- this is purposeful, intentional opportunity, and he is using it to be a care-giver to others whom he sees as needing compassion and consideration. Every small act of kindness is important and meaningful to the one receiving. Nothing is insignificant when it comes to acts of care. It must be said: if it matters to one, then it matters indeed. That tiny icicle is now gone- melted or blown away. It was never meant to last, only there to shine for a short time. But while it hung suspended from that branch, letting light refract through its intricate design, it mattered. At least it mattered to one. They walk and talk- and it is getting so dark outside. The snow whirls around them in a vortex of ragged wind from the north-east as they trudge through the shin-high drifts and try to make their way. But it is rough going. The trail they have carved out is more like a cow-path than anything when they finally make their last turn for home. She stumbles but catches herself from falling. She listens as he talks. And she tries to make sense out of all the trouble- tries to find a way for them both. He turns to her and tells her that she has made him feel better and she hugs him and tells him that was the plan. She wants to help. She cares. But sometimes words fail to convey that care. Fail to explain, describe, clarify, enlighten. And sometimes even, words hurt: inflict, wound, injure and impair. Leaving the other to try and piece together the remains into something that makes sense. Life is hard and people are the ones that know this reality the most. Words are sometimes all we’ve got to stake our pride. And one doesn’t have to look far to find hurting people in need of a word of comfort. In need of a kind gesture, a simple encouragement. So what does the girl do when she has gazed inside the glass and all she sees is a tunnel of darkness? Pitch black nothingness. An unknown abyss that appears to be bottomless, with no way out? And what does the boy say when he is faced with the news, given the verdict, read the riot act and there is no happy ending in view? What do men and women do when life turns sour, when it all turns belly up? When health fails, relationships strain and doom is pending? What do people do when life gets hard? Where do we go for help? By Whom are our cries heard? We wait for resolution with our fragile sense of uncertainty, each and every day. Wondering, guessing, hoping: and then, our expectations are found deflating. Because there is not always an answer that immediately comes to mind. Not always words. Not always an explanation that rises quickly to the occasion, announcing its arrival. Sometimes answers are hard to come by, making both life hard and understanding it to boot seem nearly impossible. Life is hard- and figuring it all out even harder. The mystery leads us to the discovery. The discovery that God gave us people to help us out. Gave us one another- each other, for a reason. To stand in the gap. To bear witness. To hold space. To uphold and sustain one another through the hard times. God gave us ‘each other’ to be that support, that advocate for one another. To sustain one another. And when we do this for the others in our lives, that is encourage one another- even through the hardest of times, we come to realize that we can carry on. There is strength. Hope. And we can make our way through to the other side. The light shines from the pathway lanterns and together they walk the narrow route toward home. Winds howl and snow eddies tug at their jackets. But these are no match for them. There is no contest. They got each other- and that is enough. It’s soon bell time and we’re getting ready. Along with the congested hallways full of lively kids, that bus pass stuck to her locker is quite possibly one of the first things she sees as I open the classroom door to the busy hallway. That piece of white paper folded and stuck on with a strip of masking tape, the numbers to a different bus marked out in blue-ballpoint pen. I nearly forget the fact of its existence in the end-of-day rush. For it’s time to get ready for home- coats, shoes and backpacks stand by at the ready. All but this One Little are eager for the last ritual of another busy school day. She’s definitely not up for it today- doesn’t want to do it and makes that point plain to me, arms folded across her chest. I coax and plead, but to no avail. I can feel frustration settle in even as I hear in my voice what resembles annoyance. All I want her to do is put on her coat and shoes so that I can take the students to the bus. She alone refuses, standing in the doorway to our classroom. Not budging. I watch her finally zip up the coat part way, only to zip it down again, leaving it flapping open- and all while I watch on helplessly. I turn so she cannot see the look on my face, expressing my exasperation in another direction. My colleague offers quiet suggestions while I compose myself. “Are you afraid of going on a different bus?” I ask. She nods her head and grunts a little affirmative. I finally understand, but am left still to deal with the very real predicament of her balking in the parking lot. We are nowhere near her bus. I look around and wonder who I can get for help. Each child I ask, Little One shakes her head ‘no’ to and then pulls away, shrinking in behind me as if to disappear from sight. I have no idea how this is all going to end. No idea what options are left at my disposal. Finally, support arrives in the form of a Big Friend from the bus. We are all relieved and tell her so. She offers to take my Little One’s hand and walks her to the bus. My Little One acquiesces. Offer received. I breathe a sigh of relief. We’ve overcome one hurdle. And that’s all I need for today. The very next day, another Little Guy finds out that there is a change in his bus driver as well, and he too is almost paralyzed with fear. He forgets where to place his shoes in our familiar cubby, eyes glazed over as he loses himself in worry. I walk him to his bus and while I stand at the foot of the bus step, I look over to see him sitting there in the front row, tears welling up in his eyes. He is so fearful he cannot even process the lively banter around him. I call him to come to me, and I wrap my arms around him with the warmth of my embrace. It doesn’t matter that this isn’t protocol- as far as I am concerned, it’s the only human thing I can think to do right now. I talk to a teacher in the hallway on a more personal level about the stress of an evening earlier on in the week at the Gard house, and we both laugh at the absurdity of the stories we tell. But underneath the laughter is a strain of forced notes and flattened chords. We are pushing ourselves to do more, be more. Make more. “That speaks of the stress everyone is under in the system,” another colleague listening in wisely offers. It’s everywhere… and rampant. Stress. We all feel it and it takes but a moment for the seed of contention to conceive and develop. Stress. I see it in children’s eyes, in their faces. Stress. Fear of the unknown, of new situations. Of failure. I see it in my colleagues eyes too at the end of another busy day. I hear it in my own Four Dear Ones banter with me at the start of the day- from angst over misplaced items, to bigger worries and fears that are becoming more and more unexpressed. I feel it in my gut: it’s why I walk our country road each and every day. I have to- my body and mind demand it. I don’t like all this stress- it’s eating us alive. It’s a new day, and I determine to make this one an opportunity for possibility. I run into problems before we even break for lunch- a Little One balking again at the instructions for a game she is playing with friends. This time, instead of feeling immediate annoyance, I try to put myself into Her shoes and I ask questions that enable her to express her fears and concerns. Instead of trying to understand it through my experience, I try to see it through her’s. And what I see first is a child who is afraid. But then I start to see something else- a glimpse, really. Of a child who, with the right supports, has every possibility to learn to overcome. Who has the tools within her to let stress go and embrace the joy of living. I hold her hand and we walk hand in hand. And I feel it.